The Philippines - Asia's next economic powerhouse? The Philippines is emerging as one of Asia’s most dynamic economies, with a forecasted growth rate of 6.9 per cent in 2018 driven by investment and private consumption. The economy recorded growth of over 6 per cent in 2017, for the sixth straight year, thanks to buoyant government spending, exports and a recovery in the agricultural sector. Will this Southeast Asian tiger be able to maintain its momentum? While advanced economies like the United States, Europe and Japan are growing at slow rate, a number of emerging economies like the Philippines continue to surge ahead. With annual growth expected to reach 6.9 per cent by 2018, the Philippines now ranks as the 10th fastest growing economy globally. Owing to strong domestic demand and government projects, the country’s economy is on the rise. The government’s expansionary fiscal policy has aided capital formation and credit growth, whereas low inflation has strengthened private consumption. The Philippines pursues a growth policy that uses levers like attracting foreign investment, stimulating healthy domestic spending, remittances and infrastructure development. The Comprehensive Tax Reform Program (CTRP) initiative by the Department of Finance (DOF) in 2017 aims to make the Philippines’ tax environment more competitive against its ASEAN counterparts. The Comprehensive Tax Reform Program (CTRP) initiative by the Department of Finance (DOF) in 2017 aims to make the Philippines’ tax environment more competitive against its ASEAN counterparts. For example, personal income tax rates have been lowered. Tax reforms are projected to add an additional investment of approximately USD4 billion to the Philippines government. The Philippines is part of the ASEAN Economic Community (AEC), along with 9 other countries with a total Gross Domestic Product (GDP) of USD2.5 trillion and economic growth at an average of 5-8 per cent. Being part of the AEC has enabled Philippine-domiciled businesses to expand into a larger market. The AEC could potentially become what the European Union is today and give a huge boost to the Filipino economy. The Philippine Government Common Platform (PGCP) aims to enhance government operations and services by introducing new policies and laws. One of the major transitions included changing the Philippine’s K-10 system to a K-12 system in 2013, in line with International standards. The government is also set to spend USD180 billion over the next decade in infrastructure spending, so as to fund four new seaports, 32 new bridges and roads, three new bus rapid transit systems, nine new railways as well as six new airports. The average age of a Filipino is 24.6 years – among the lowest globally and even in comparison to most other ASEAN countries. Being the second-most populous ASEAN country with 105 million people (after Indonesia), the Philippines is nowadays seen as a promising consumer market by both local and overseas businesses alike. The average age of a Filipino is 24.6 years – among the lowest globally and even in comparison to most other ASEAN countries. Apart from a young population with a good command of the English language, this youthful population serves as a competitive advantage in the service industry – especially for the Business Process Outsourcing (BPO) industry. Despite a historically strong economy, growth in the education sector has been muted. Nevertheless, the employment rate in 2018 was estimated to be 95 per cent, one per cent higher than last year. However, out of the total number of unemployment residents, around 22 per cent were college graduates and close to 30 per cent completed junior high school education. The Philippines is an attractive market for investors. Total Foreign Direct Investment (FDI) inflows for 2017 were valued at USD10 billion. With agriculture contributing to 10 per cent of the country’s GDP, it is now one of The Priority Investment Areas listed in the 2017 Investment Priorities Plan (IPP). With 10 million hectares of agricultural land in 2017, major exports consist of pineapple, banana, coconut and fishery products. Often one of the overlooked economic sectors, Filipino manufacturing continues to perform well due to the large yet relatively low-cost, educated labor force. Expansion of major infrastructure projects and rising domestic consumption are key growth drivers of this sector, which contributes around 25 per cent of GDP as at March 2018. Tourist arrivals in 2017 reached 6.6 million, up 11 per cent over 2016. The number is expected to hit 7.4 million in 2018 with adventure and sports tourism on the rise. A major economic contributor in the Philippines, tourism accounts for approximately USD27 billion of GDP in 2017 with a projected growth of about 6 per cent in 2018. Workers in the Philippines are primarily spread across three broad sectors, industry, agriculture and services. The labor force grew to approximately 71 million in January this year; up from 69 million a year ago. The services sector is where the largest proportion of the population is employed; close to 56 per cent of the total employed persons (as of January 2018). The BPO sector contributes 9 per cent to the country’s GDP growth (in 2017). With robust growth, the total income for this sector is expected to reach USD40-55 billion by 2020. One of the Philippines’ fastest growing sectors, the BPO industry continues to expand at an annual rate of 20 per cent. It is set to become the number one source of revenue for the Philippines, outpacing overseas remittances by 2018 and adding over 7 million jobs and revenue worth USD40 billion. The Philippines economy continues to grow despite a drop in its ranking from 99 to 113 for ease of doing business in 2017. Nevertheless the challenges should not be glossed over. The Philippines restricts foreign ownership in selected industries to protect the market, including utilities and media under a Foreign Investment Negative List (FINL) in 2017. Although the list is revised every two years, the government plans to reduce limitations to encourage FDI for certain industries which include education, construction, retail trade to name a few. Net inflow of FDI in mid-2017 fell, largely due to a decline in debt instrument investments from USD407 million to USD105 million, which outweighed net equity capital inflows five-fold. The Philippines still lags behind for FDI inflows within the Association of Southeast Asian Nations (ASEAN). Even though it has 16 per cent of ASEAN’s population, it hardly receives 8 per cent of ASEAN’s total FDI for 2017 figures. The Philippines lags behind many neighbouring countries in terms of better infrastructure development. Poor transport facilities hinder economic development and utilities provision. Metro Manila suffers from congestion in terms of air, road and sea traffic as one of the most densely populated cities in the world. The World Economic Forum’s Global Competitiveness Index currently places the nation in the 90th position in terms of infrastructure ranking, which undermines its ability to compete globally. The Philippines ranked 111th out of 180 countries in the Corruption Perceptions Index (CPI) for 2017, lower than the previous two years. Although the government established a Presidential Anti-Corruption Commission earlier this year with a hotline for citizens’ complaints among other government initiatives, more comprehensive efforts are clearly needed to curb the scourge of corruption. In 2017, Philippine was ranked 12th globally in terms of impact due to terrorism. Although an ideal holiday destination, Western countries are wary about doing businesses and investing due to the perception of continuing instability on the security front, thus limiting economic growth. 22 million Filipinos in 2015 still live below the national poverty line – more than one-fifth of the population. Two out of five families that are poor live in Mindanao, where public investment could boost prospects for better jobs. As jobs in rural areas are scarce, a third of Filipinos survive on fishing or farming, industries in which productivity and hence wages are very low. Most do not have the money to move to Manila for better prospects, nor do they speak the national language let alone English. The tourism industry is becoming the third growth engine in the service sector, after remittances from overseas BPO-IT sector services. However, political uncertainty and terrorism cloud the prospects for economic growth. Barring significant global political and economic shocks, the Philippines’ economy appears well-positioned for a continuous year of steady growth in 2018. Development in agriculture, an increase in the rate of employment, sustained inflow of remittances and lower inflation rates would likely bring down the poverty rate in the next few years. Nonetheless, the Philippine Development Plan (PDP), introduced to cover the years from 2017 to 2022, aims to reduce poverty from about 22 per cent in 2016 to 14 per cent by 2020. Raising the country’s standard of living is the main goal of the PDP. Moreover, the latest tax reforms, Philippine’s participation in AEC and various government initiatives are paving the way for it to become Asia’s next economic powerhouse. As the Philippines’ government and elite are seized of the need to reform and have demonstrated significant progress in that direction, prospects for the country’s economy are positive, building on the nation’s natural demographic and economic advantages. 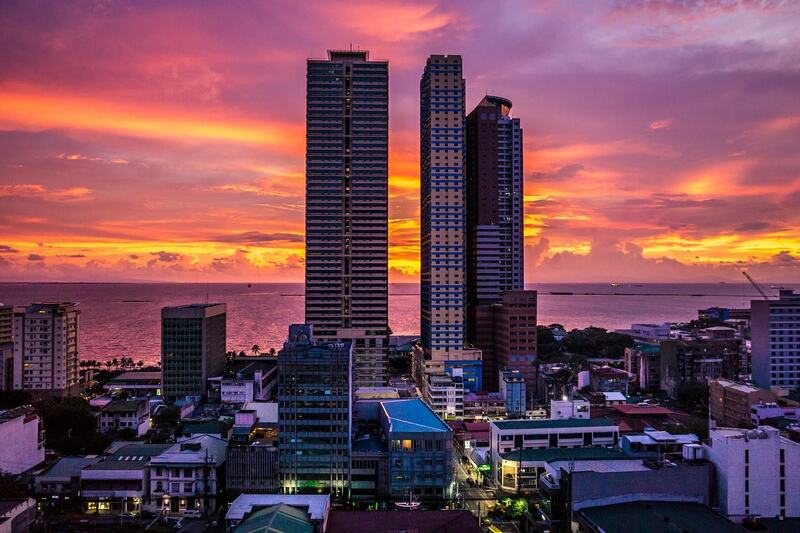 Savvy investors would do well to give the Philippines a second look.